Early F-14 Tomcats had serious issues with maneuverability, especially during close-in engagements or dogfights. When the aircraft was positioned at a high angle of attack, the pilot would lose control and the Tomcat would likely enter a spin, sometimes forcing the flight crew to eject as the spin would become unrecoverable. Considering that the Navy had specifically asked for its frontline 4th generation carrier strike fighter to be maneuverable in addition to speedy, this proved to be a major pain in the rear for Grumman. In 1980, NASA’s Langley Research Center, Grumman, and Honeywell partnered up and got their best and brightest minds working on a solution to the problem. 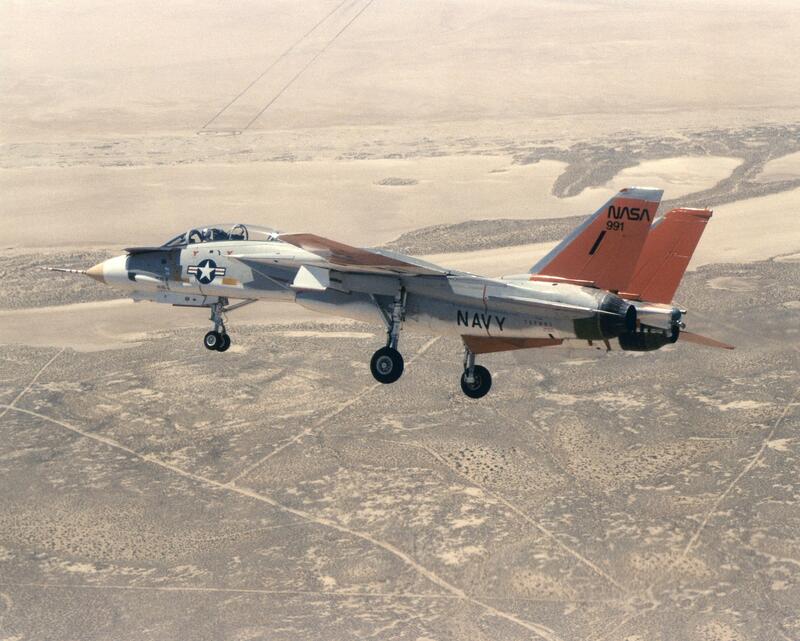 Using a NASA Tomcat (tail number 991) as a testbed at the Dryden Flight Research Center, equipped with an emergency spin chute and a few other temporary modifications, the ARI (aileron/rudder interconnect) was developed, allowing pilots a way of maintaining control even in high AoA postures, and if control was lost, a solution for spin recovery.